NEW! 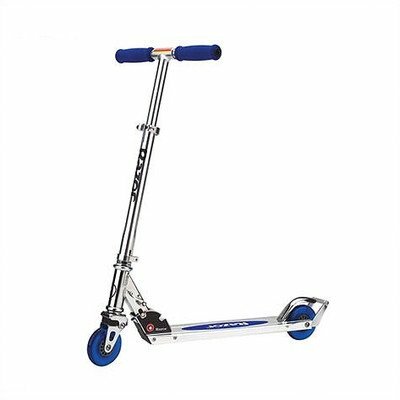 Razor A2 Kids/Boys Kick Scooter (Blue) , selling for $44.99 brand new. Manufactured by Razor. There are 6 units left brand new. 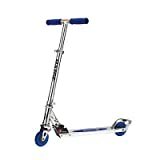 13003A2-BL Color: Blue Features: -Scooter. -Ideal for ages 6 and up. -Springless front wheel shock system. -Wheelie bar. -Easy to fold and carry. -Lightweight at 7 lbs. Product Type: -Non-electric scooter. Gender: -Boy/Girl. Color: -Purple, Red, Green, White. Age Group: -5 to 6 Years/7 to 8 Years/9 to 10 Years/11 to 12 Years/13+ Years. Primary Material: -Aluminum. Number of Wheels: -2. Dimensions: Overall Height – Top to Bottom: -34″. Overall Product Weight: -6 lbs. Overall Width – Side to Side: -13″. Overall Depth – Front to Back: -26.5″.